Could your loved one benefit from a Matanuska-Susitna, AK elder care giver? From the moment the door swings open and your senior family member wraps you in a warm embrace, through the merry holiday dinner and every timeless family tradition, opportunities abound for not merely quality time together, but also to evaluate how your senior loved one is actually doing and if any red flags are noted. Social changes. According to John Ramsay, CEO of Shift 8, “Dementia can cause people to become closed-off, avoiding any sense of social interaction.” Take note of any indications in both the senior’s conduct and conversations that point to his/her preference for reclusiveness and isolation, particularly if the individual has regularly enjoyed socializing. Mood shifts. Depression, anxiety, and apathy tend to be components of early dementia. The illness impacts a person’s ability to process and manage emotions, sometimes the result of the inability to recollect what sparked a bad feeling, leading to increased aggravation. Loss of memory. Problems with memory are at the root of Alzheimer’s disease, in particular, short-term memory. Take note of whether or not the senior generally seems to struggle with recent occurrences, but is able to fully take part in discussions about the past. Issues with changed routines. 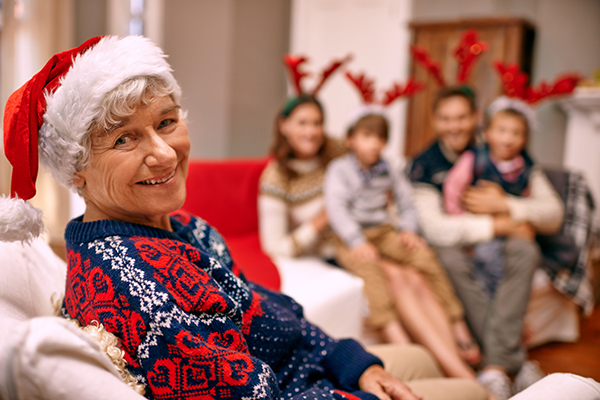 Noticing a feeling of disorientation, anxiety or agitation is not uncommon throughout the holiday season, due to its likelihood of interruptions to the normal routine. Seniors with Alzheimer’s are more likely to rely heavily on familiarity and could seem out of sorts when deviating from the usual. Physical differences. Note any evidence of a decline in hygiene or in the cleanliness and organization of the home, particularly if the person has until now been meticulous in keeping a sense of order. Any concerns such as these should always be brought to the attention of the senior’s primary care physician as quickly as possible. And, it’s helpful to have a dependable senior care partner on hand who is familiar with the nuances of dementia as well as other difficulties of aging, and that can provide you with the professional help which enables aging parents to stay safe and well. Call Midnight Sun Home Care at (907) 677-7890 or contact us online to learn more about our highly skilled, specialized dementia care team and for an in-home assessment to learn how we can provide you with a top Matanuska-Susitna, AK elder care giver.